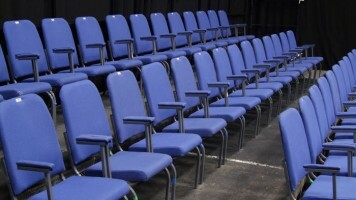 Performance Extras: Each ticket gives entry to 1 baby & 1 adult. Additional adult tickets can be purchased for £5, but please note that these are extremely limited so as many babies can enjoy the performance as possible. Due to the nature of this event, please contact our Box Office team to book on 024 7652 4524. Fluffy and soft and bright; welcome to the Cloud Factory. High in the sky, clouds sit above us, out of reach and all alone but Claud has an idea! Far away and high on a hill, Claud builds a cloud factory and, with a little help from you, fluffy dreams may come true. 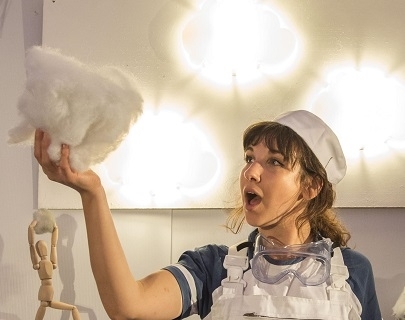 intotheclouds is a playful, sensory and highly visual experience for very young children and babies (aged 6 – 18 and 19 – 36 months) and an incredible first-time theatre experience for all. Developed in partnership with Small Steps Big Changes and over 50 babies and their families across Nottingham.